Need help deciding what’s for dinner this week! 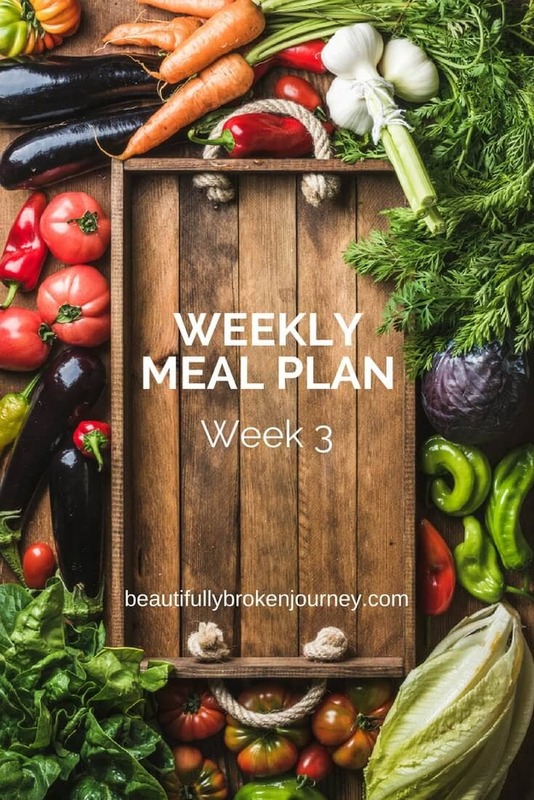 Here is my weekly meal plan! This past week was crazy. I had a lot on my plate, and then my kids got sick and my meal plan never got sent out. Hope you didn’t think I’d given up on meal planning already! I didn’t… it just got put on the back burner this week to be honest. I am a virtual assistant for the blogger Slow Cooker Gourmet, and we are in the process of testing a lot of recipes, so my meal plans will consist of more than what I’m sharing here, but while we are busy at work with the new recipes, I’ll try to share a few that I’ll be making outside of her newest creations. Testing recipes is so fun by the way, I’m still trying to work up the confidence to create my own recipes, and hopefully I will soon, but for now I have a blast helping Jennifer test and tweak her creations. Have I mentioned it’s like the BEST job ever?!? So, here is what I plan to make this week! Truth is, I bought all the stuff I needed for these recipes last weekend but I wasn’t able to make any of them because I was so busy testing other recipes this week! Let me know if you try these and enjoy them! 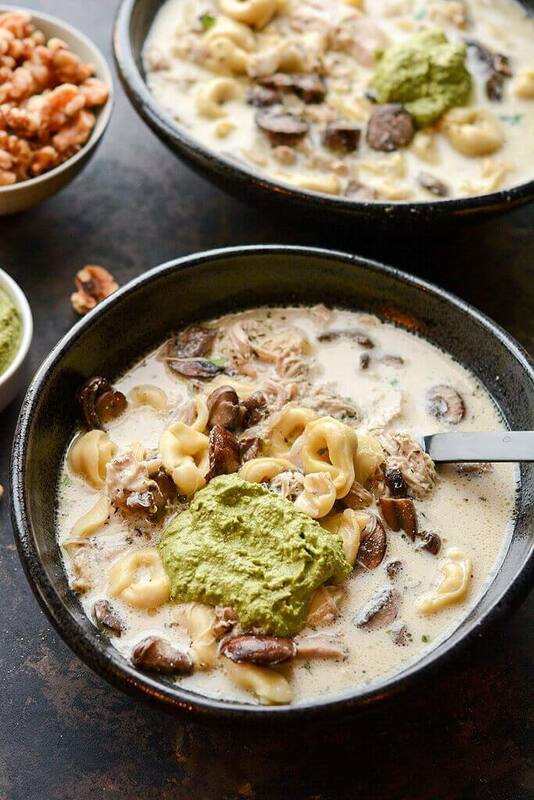 Slow Cooker Chicken Tortellini Soup- I bought tortellini the last time I shopped at Aldi ( I never shop there by the way… but I’m trying to more because it’s so much cheaper!) Since I bought it without a recipe in mind I was excited to see that this one is an option. I’ll update the smart points once I make it! Looks good though, right? Oh, and I will not be adding the pesto on top. Spinach irritates my stomach and I don’t care for walnuts… so the points will be without that… but you should totally try it because if you like spinach and walnuts I’m sure it’s delicious! 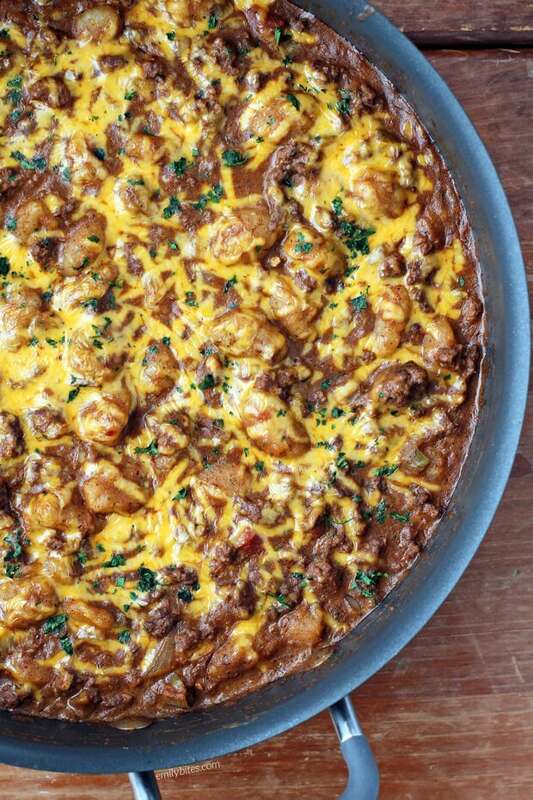 Spicy Taco Gnocchi Skillet– This is one of my favorite meals. I make this at least 1-2x per month. If you’ve never had gnocchi, why not?!? Maybe you were like me and had no idea what gnocchi was? Trust me. You want to know what gnocchi is. Go get ya some and chow down! It’s 9 smart points for each cup and I swear, it’s worth every last one! 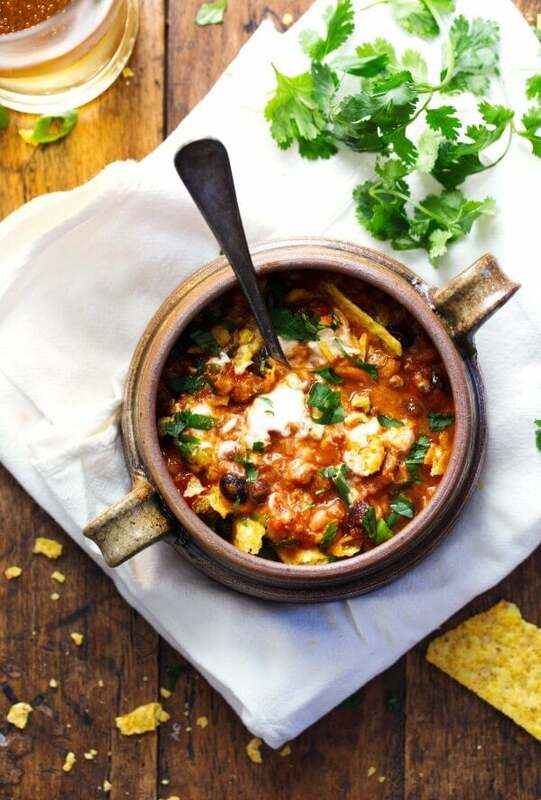 30 Minute Spicy Ancho Turkey Chili – I LOVE chili and soups this time of year. So, if you don’t, you may hate my meals 😉 As my two year old would say, “Sorry ’bout that”. I think this soup sounds so yummy and I’m excited to have this for lunches this week! Here is how I changed the recipe. Mine came out to 8, 1 cup servings. I used 4oz uncooked instant brown rice and cooked it in 1 cup chicken broth, so I only used 1 cup of chicken broth total in the recipe. I totally forgot all the water… so mine was thick. Next time I’ll add some… ya know, like the recipe says! That’s all for this week! I know I have lots of other recipes to make for Slow Cooker Gourmet so if you want to see some of her creations head over to her blog. We are adding Smart Points values to her recipes also so it will be easier to enjoy her wholesome recipes and stay on plan! What’s on your menu this week? Leave me a comment with you favorite go-to meal during the fall/winter! I love fresh ideas, they keep this journey exciting! I made a cheesy potatoes and ham casserole in the crock pot tonight. It was so good and came out to 5 points for 1 1/3 cups. Also I found a red beans, sausage and rice soup on the weight watchers app that I’m super excited to try! These look delicious! I can’t wait to try them. How do you get a job being a virtual assistant for a food website? I would love to do that too! I love to cook and bake! (and eat it too – lol). I am a SAHM and would love to bring in some extra income. I got super lucky because she is my neighbor. Though I will say Virtual Assistants are in high demand! Try reaching out to some food bloggers and ask if they need any help! Other than that I’m not sure how to go about looking for a job like that to be totally honest with you. You could always try doing a search on Facebook for virtual assistants too. I know! That’s the best part is when they don’t even realize it’s “healthy”!